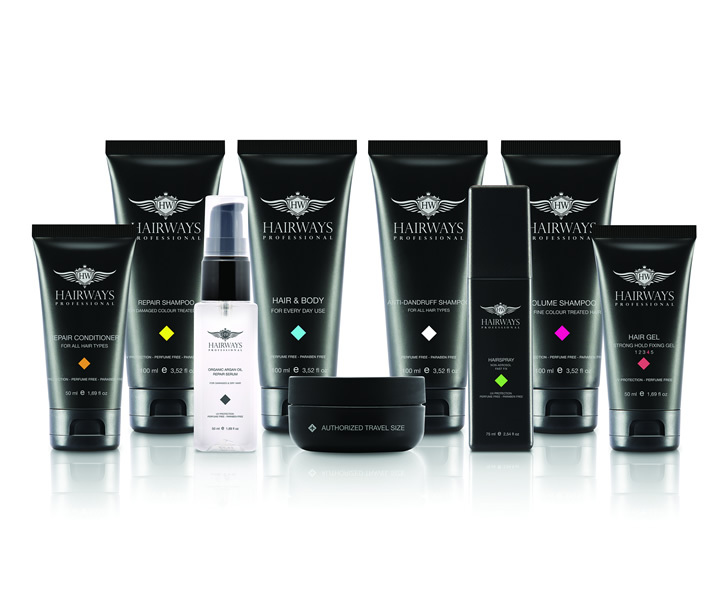 Hairways Professional is the leading brand for professional hair care products in travel size. It was developed explicitly for Travel Retail and responds directly to the need of travellers with higher purchasing power. All Hairways products are unisex and meet the standards of safety in air transportation because maximum capacity of all Hairways products is 100ml. This is why all Hairways Professional products can be included in the carry-on baggage which make them unique. More on www.hairwaysprofessional.com.